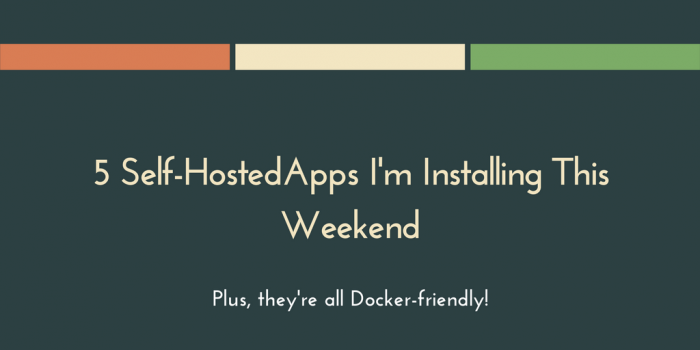 In the following ultimate guide, we’ll cover dozens of self-hosted alternatives to oftentimes expensive Software-as-a-Service (SaaS) web apps that you probably pay for on a monthly basis. 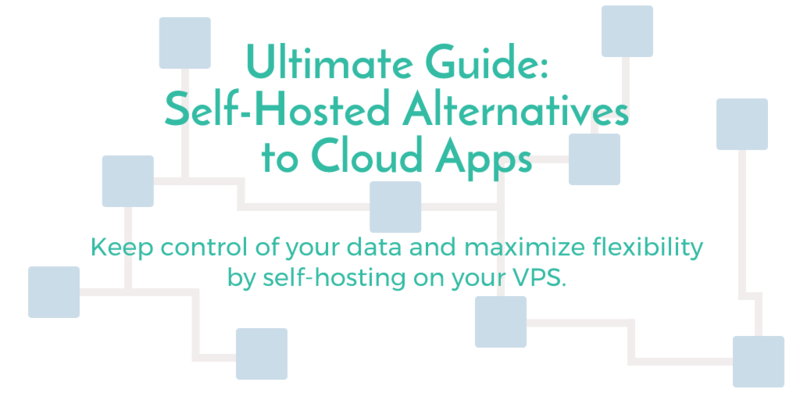 By leveraging the power of your SSD Nodes VPS, you can run dozens of web apps and services for a fraction of the cost—you might even be able to completely negate the cost of your VPS. Plus, you get more customization and retain full control of your data. All of these options are open source and free to use. 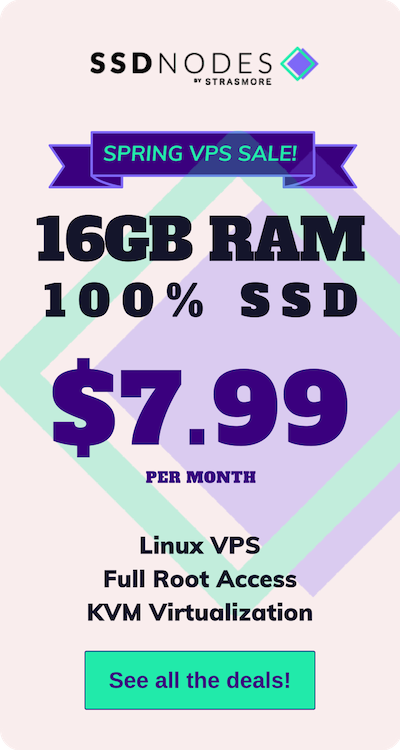 A few have paid options for enterprises or those who need a managed experience or dedicated customer support, but there is always a free tier that you can download and install on your VPS. The most popular option in this category is Slack, although other systems like Google Hangouts and Skype could be replaced by these options. Dropbox is the primary competitor in this space, followed by OneDrive, Google Drive, Box.com, and Sync.com. Self-hosted WordPress, naturally, is already a leader in this space, but other popular options include Squarespace, Medium, and Tumblr. Self-hosted email is a difficult category to pin down, as there’s so many different components that go into feature-complete email system. Instead of trying to focus on all of the individual components—MTAs, SMTP servers, IMAP, webmail, and mailing list software—we’re going to focus more on complete solutions that try to offer everything in one package. Naturally, Gmail is the leader in this space. Trello and Basecamp are popular options specifically built for this purpose, but many other organizations put together custom solutions using a number of different applications. Google Analytics has been the leader in this space for years. Other popular options include analytics features built into various content management systems. For years, GitHub has been the primary place to host public or private GitHub repositories—for many the built-in community (stars, following developers) is a bonus. For those who don’t want or need those features, or want to keep code completely secure, self-hosted is a viable option. Most people do their text editing and writing via applications on their own computer, but hosted apps can connect directly to services like Dropbox and allow you to do real-time collaborative editing with friends or colleagues. Google Docs is the visible leader in this space. There truly is no one dominant solution for backups, particularly backing up the content of a VPS. In this list, we cover solutions that are installed on the VPS and then connect to external backup storage. Google Reader lives on in our hearts, and Feedly has done its best to fill the empty void. That said, many people miss the days of FeedBurner and other barebones tools that didn’t get in the way of delivering RSS feeds. While many people use the bookmarking and synchronization features built into most modern-day browsers, others choose cloud services like Pocket or Instapaper. Aside from commenting systems that are built directly into content management systems, Disqus is the leader in this space. Freelancers are probably aware of Toggl and Harvest, two of the more popular time tracking options. Improved the introductory text with more context and links to other Serverwise content published in recent months. Added Zulip to Instant messaging category. Started to remove the relative last commit times in favor of a date + “or more recent”. Added a new category: Email. Added some new items: Fresh RSS, Wallabag. Added a new category: note-taking apps. Updated a number of last commits. Added a new category: text/markdown editors. gitolite: Fixed the license entry. Shaarli: Fixed the license entry. Made the license entries as consistent as possible: GPL/AGPL/MIT/BSD 2-clause/etc. Updated existing last commit dates, added a few more, and started converting timestamps into relative time for easy reading. Removed GitHub stats—to difficult to maintain. Plus, popularity != quality. Added a new category: backups. Updated last commit dates for blogs/CMSs. Took a week off to push out our container preview! Added a new category: blogs/CMSs. Testing out more GitHub stats and last commit dates. Added a new category: RSS readers. Added a new category: calendars and contacts. Testing out some GitHub watchers/stars stats! Added a new category: web analytics. Added a new category: code repositories. Added Tox to instant messaging category. Added Seafile to file storage/synchronization category. Added two new categories: bookmarking and commenting systems. Are you a dev of a project you’d like to see featured here, or simply a fan of something we missed? Let us know in the comments or by getting in touch. 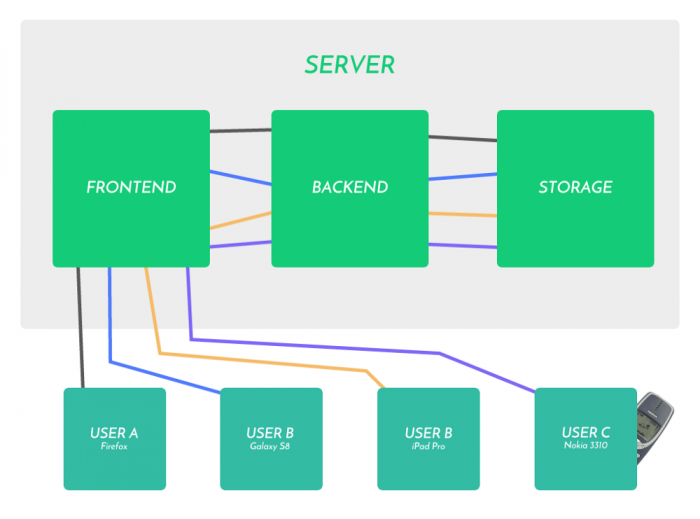 Guide: What the heck is self-hosting?